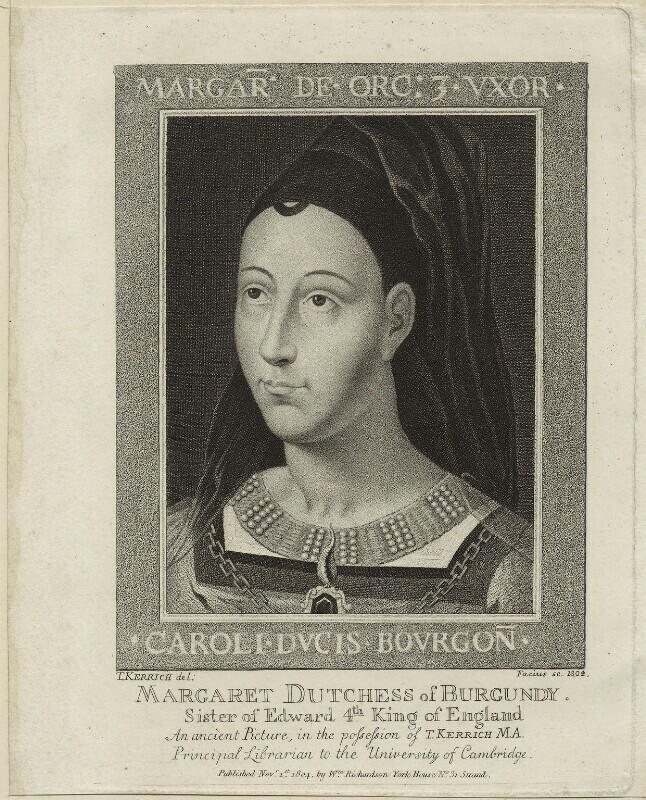 Margaret, Duchess of Burgundy (1446-1503), Yorkist matriarch and mediator; third wife of Charles the Bold; daughter of 3rd Duke of York and Cecily Neville. Sitter in 1 portrait. Johann Gottlieb Facius (1750-1802), Stipple engraver. Artist associated with 11 portraits. Thomas Kerrich (1748-1828), Cambridge University Librarian, antiquary and draughtsman. Artist associated with 10 portraits, Sitter in 2 portraits.